Every year Customized Girl celebrates national dance day with fun and innovative designs that will get our dancers excited to leap out of their seats. All around the world thousands of events are taking place to kick-off the movement to promote health and well-being. It doesn’t matter if you participating in a class or dancing in your living room because you will fall head over heels with our custom dance apparel! 1. Choose your favorite design in our gallery. 2. From there click the “swap out item” tab in the top right corner of the design center and choose from tees, tanks, jackets, and much more. We may be Customized Girl but we do offer a great selection for men too! 4. Select a size and add to cart! 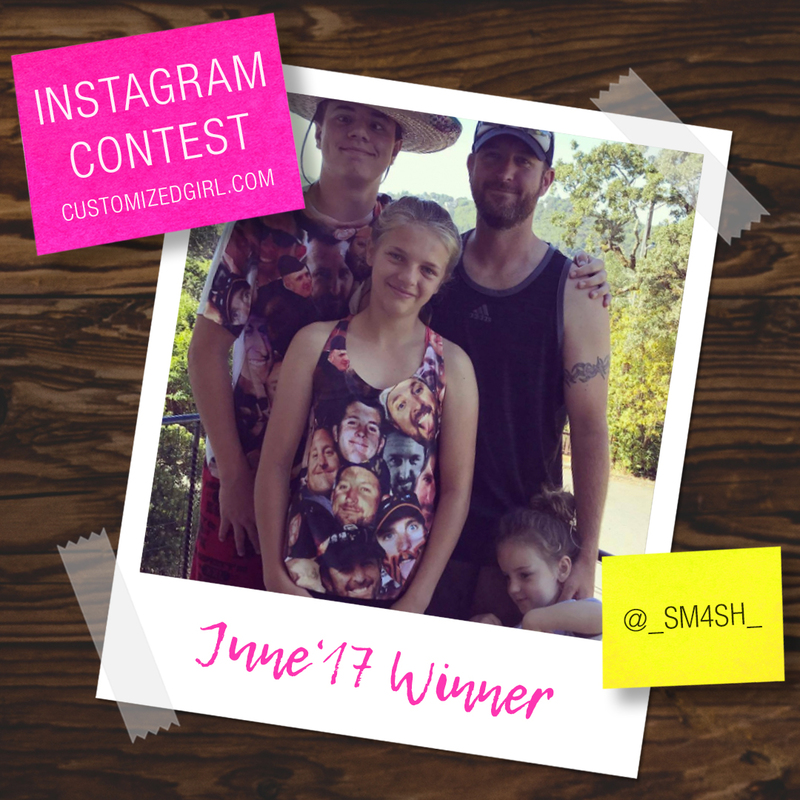 June 2017 Selfie Instagram Winner! Three cheers for Customized Girl’s selfie winner for the month of June! Like last month we celebrated Mother’s Day at Customized Girl and this month we got the opportunity to say thanks to all the dad’s out there. Sometimes finding dad that perfect gift can be tricky. So what do you get the dad that has everything? Our selfie winner for the month of June answered that question with the most adorable way possible. This creative mama designed a collage of her hubby’s face and applied it to our all over print apparel creating the most unique and thoughtful father’s day gift we have ever seen. Customers like our June selfie winner really make us excited to see what innovative designs they will come up with next! 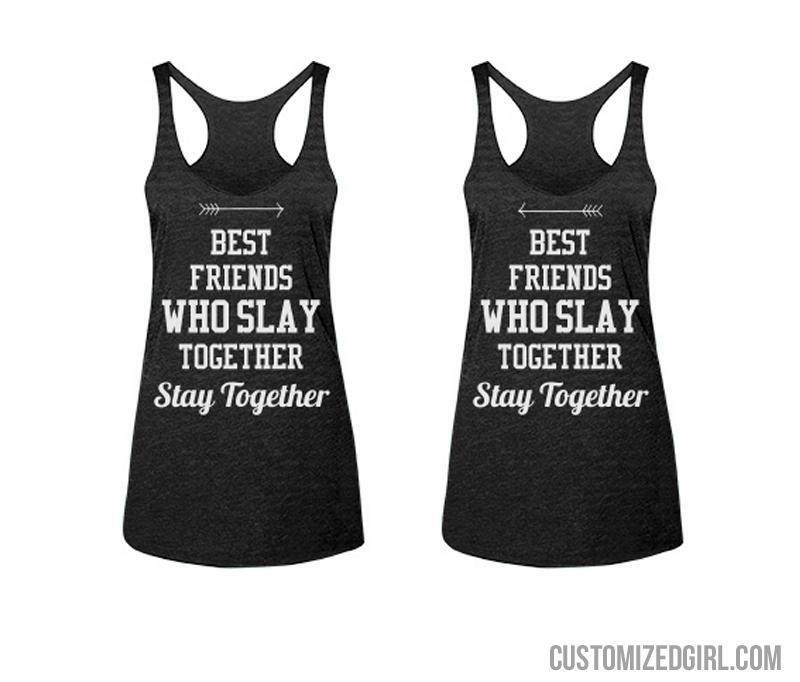 Make sure to share all of your custom apparel selfies via Facebook, Twitter, or Instagram @customizedgirl! But first, make sure to follow us on Instagram and learn how sharing your selfie can earn you prizes! Grab your favorite salty, sweet or fried snack of choice – it’s time to celebrate all things food. Health nuts have been looking for an excuse to order takeout or bake their favorite desert and here’s your chance because it’s Junk Food day. This delicious holiday must be commemorated with much more than just ooie gooey goodness. Everyone must know that this day is your day and that you are a foodie at heart. 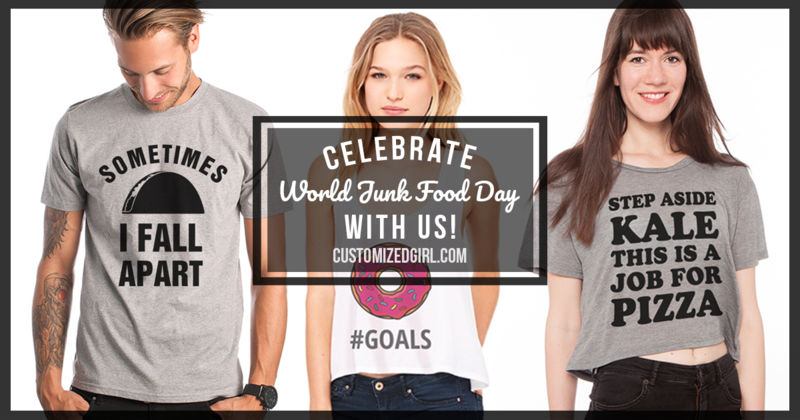 Get ready to treat yo’ self with foodie shirts for World Junk Food day! 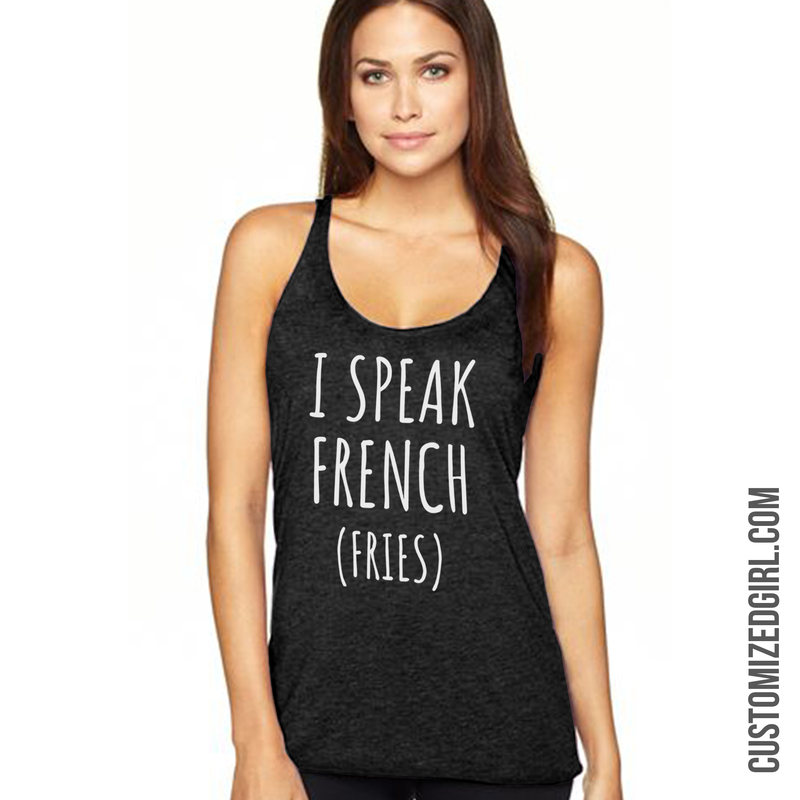 It’s cool to find clothing with food that speaks to you but for those of us who have may have a refined palette, it can be difficult to find what you love most on a shirt. 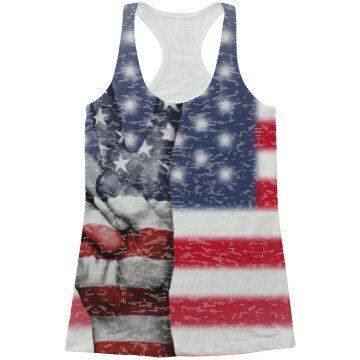 Customized Girl offers the largest selection of custom apparel online that is ready for you to personalize with anything and everything you want. All you have to do is choose your favorite item of clothing. 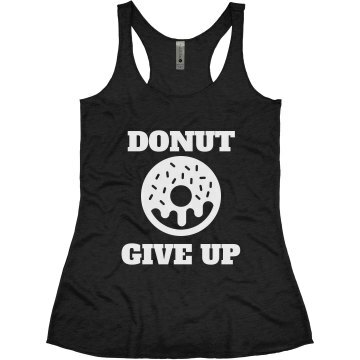 Maybe a more subtle approach with a vintage slub tee or maybe comfy joggers to over indulge in? Whatever your style preference may, we’ve got it. From there add your own image or choose from the thousand of pieces of art in our gallery and voila! C’est magnifique! Emoji’s have become a part of every day life and are much more than a a tool to enhance a conversation. 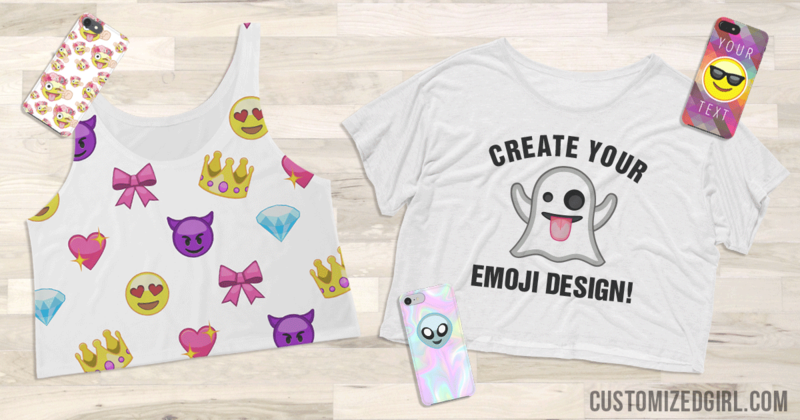 Two years ago Customized Girl’s talented and creative design team created unique emoji art for custom apparel. While many thought emoji’s would eventually fade away, we are happy to say that the emoji phenomenon is here to stay. Today emoji’s have taken off and we are excited to share our list of the best emoji shirts for World Emoji Day with you! Devils, cats, eggplants – you name it and we’ve got them all. Our gallery has expanded with not only classic emoji’s but even holiday and rare emoji designs that you will not find anywhere else online! 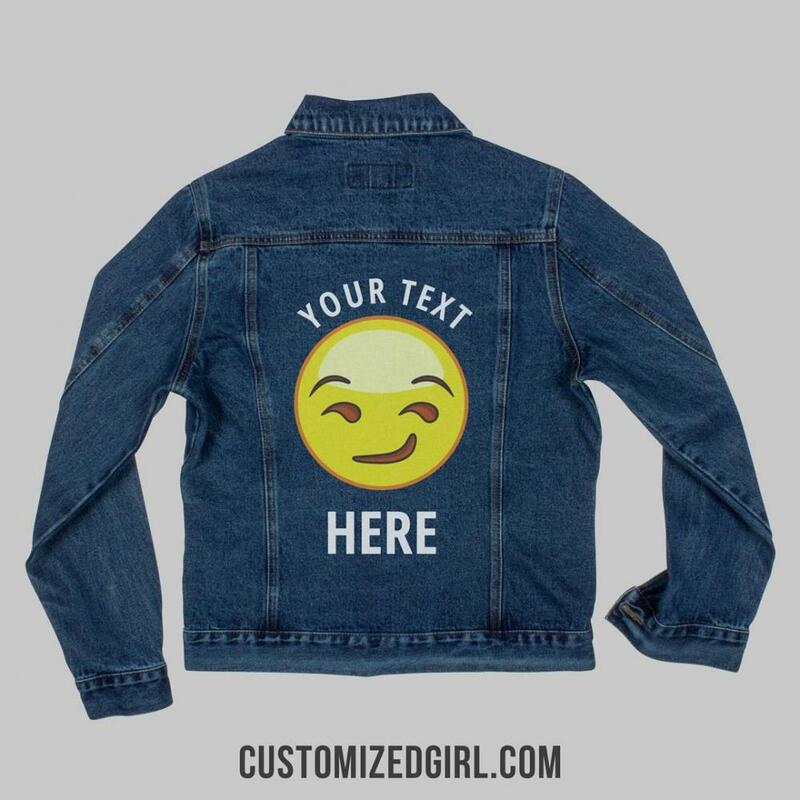 We’ve already provided emoji shirts and accessories that are amazing designs on their own but take the next step by adding your own unique touch by adding additional art and text. All you have to is pick a design from our amazing gallery or start with a blank item. From there, pick your favorite emoji and start customizing your design. 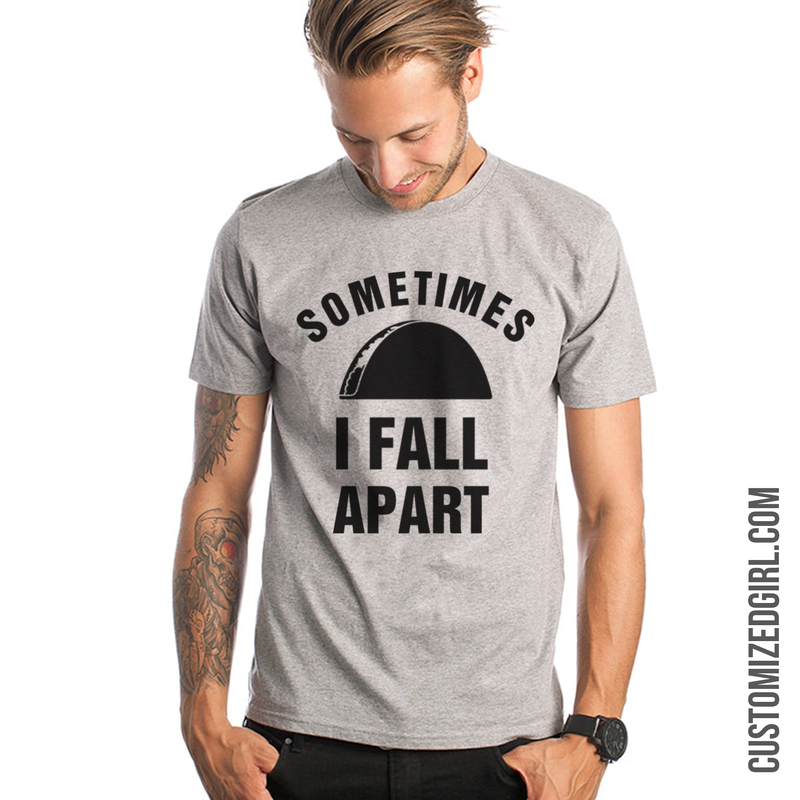 Choose from a wide range of shirts, hoodies, sweatshirts and even accessories! This year we are excited to announce edge-to-edge printing on specialty products. Aprons, pillows, and phone cases are just a few items that we offer with this new and amazing printing technique. All you have to do is choose an item from our all over printing options. Our all over print emoji patterns are perfect for any emoticon fanatic! Being a mom is one of the most difficult jobs on the planet and it’s even tougher if you’re a sports mom. Eat, practice, sleep, repeat. You’re kids aren’t the only ones going through the grind but you’re not complaining. You love every minute of it so much so that you want everyone to know that you are your kids biggest fan. Cheer the loudest and stand out in the crowd with a custom sports mom shirt! Customized Girl offers the best products for every type of mom and everything you would need from head to toe. Phone cases? Check. Tote bags? Check. Socks and hats? Check and check. Our large selection of apparel including custom plus sizes and products that are specifically for sports like our championship jacket, custom jerseys, and raglan tees. Choose the style that fits you best, select your team’s colors, pick your favorite sports art from our design center and create a mom shirt that is perfect for you. You can personalize one of our existing designs to match your team name and colors or you can start with a blank design by adding your own idea, graphic or logo for a truly unique shirt. Moms even have the the ability to add sparkly metallic foil to really stand out in the crowd. July is family reunion month. Use the coupon code below to save on custom family reunion shirts! Use coupon code CGJLY7 at checkout and get 8% off orders of $40.00 or more! Offer expires 7/31/2017 at 11:59PM EST.